THURSDAY, June 2, 2016 (HealthDay News) -- Music superstar Prince's April 21 death was caused by a self-administered dose of the potent prescription painkiller fentanyl. That's was the conclusion of the long-awaited autopsy report from the Midwest Medical Examiner's Office in Minnesota, which ruled the death of the 57-year-old music icon an accident, according to published reports. Fentanyl is a powerful synthetic opiate similar to, but more potent than, morphine. It's typically given to patients to treat severe pain, or to manage pain after surgery. It's also sometimes prescribed to those with chronic pain who are physically tolerant to opioid painkillers, according to the U.S. National Institute on Drug Abuse. Prince's body was found at his Paisley Park compound in suburban Minneapolis. While Thursday's news shed light on the particular experience of one exceptional individual, the broad outlines of Prince's story are by no means unique. The U.S. Centers for Disease Control and Prevention has called prescription opioid misuse and addiction a full-blown "epidemic." The drugs are typically prescribed for a variety of painful conditions, including dental and injury-related pain. The numbers are stark. About two million Americans are now in the throes of prescription opioid abuse or dependence, according to the CDC. And more than 165,000 U.S. men and women died from a prescription opioid overdose from 1999 to 2014. And a quadrupling of opioid-related overdoses -- including heroin use -- between 2000 and 2014 suggests the problem is getting worse. The upshot: Prince was one of at least 14,000 Americans who lose their lives to prescription opioid overdoses each year, according to the CDC. Much of the opioid addiction problem is due to illicit use. A 2014 report by the U.S. Substance Abuse and Mental Health Services Administration said that 75 percent of all opioid abuse involves people accessing the pain medications through friends, family members or dealers, rather than a doctor's prescription. Still, at least a quarter of all opioid abuse traces back to legitimate patients, like Prince, who were initially prescribed drugs such as oxycodone (OxyContin), and hydrocodone (Vicodin) for medical problems that involve acute or chronic pain. "Opioids are the gold standard for pain management," said Kelly Dunn, an assistant professor with the behavioral pharmacology research unit at the Johns Hopkins University School of Medicine in Baltimore. "And it's important not to vilify physicians who are genuinely treating patients who need them. "But ever since we embraced the notion that pain is the 'fifth vital sign' -- back around 2000 -- the increased emphasis on pain evaluation and treatment has led to a hugely increased market for opioid manufacturing and distribution," Dunn added. "So opioid meds, which really function in the same manner as heroin, have become widely abundant." According to the CDC, health care providers wrote 259 million prescriptions for painkillers in 2012, enough for a bottle of pills for every American adult. "The problem," Dunn said, "is that most of the addiction research so far has focused on illicit users. So until recently we haven't really thought enough about which pain patients will do well with these meds. Of course, it's certainly true that most people can take a course of opioids and be totally fine. But the more widely they're prescribed, and the longer patients are on them, the greater the risk." Therein lies the rub, according to Anita Gupta, vice chair of the department of anesthesiology in the division of pain medicine and regional anesthesiology at the Drexel University College of Medicine in Philadelphia. "Opioids are the cornerstone of the treatment of pain," she said. "There's no question about it. And they can be safe. For millions of Americans it's part of their treatment of pain." "But the issue is how to use them safely and responsibly," Gupta said. "They have to be taken vigilantly, as directed. And doctors and patients have to know that other diseases and other medications can interact negatively with opioids. And be aware of factors that we now know up the risk for abuse." Those risk factors, she noted, include a history of prior substance abuse; a history of sleep aids prescriptions for insomnia and sleep disorders; and a history of mental health trouble. Both Dunn and Gupta said many of those concerns are now outlined in a new set of CDC guidelines, issued in March, that for the first time direct physicians on to how to best prescribe, manage and monitor opioid treatment. "The guidelines are very clear, and a foundation for how to handle opioid treatment going forward," said Gupta. "Which is great, because this is an all-hands-on-deck crisis. "But what's needed more than anything is a real conversation between doctors, patients and family members about what the pain control goals are and what the risks are. Because there are risks," she added. "And also how to identify signs of an overdose and how to intervene, and the importance of having (the opioid blocker) naloxone (Narcan) on hand, and how to use it." "Because the fact is, unintentional overdoses happen all the time," Gupta said. 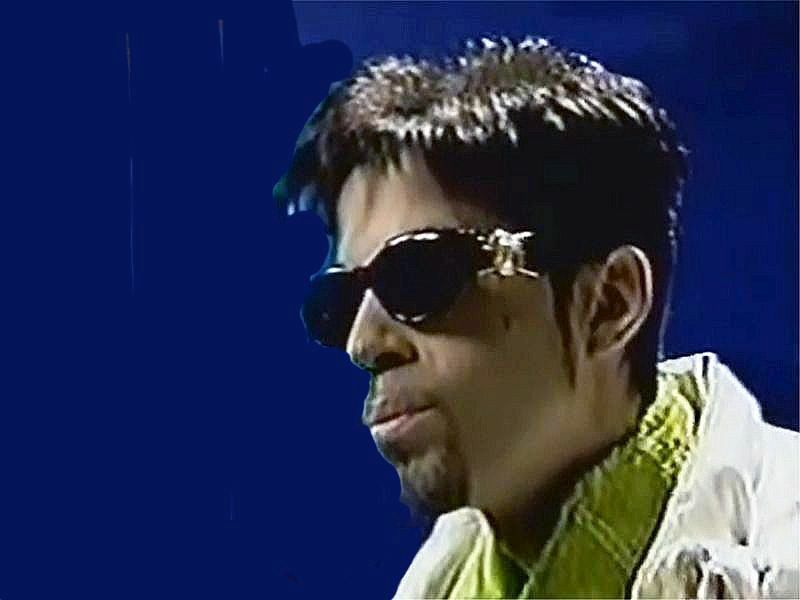 "It could very well have been unintentional for Prince. We don't know. But he was such a secretive person. And perhaps he underestimated the importance of having people around him who he could talk to and who were educated about safe opioid use. Those conversations are critical. Unfortunately, they're not always happening."